The Supermarine Type 394 Spitfire Mk.XVIII was a British fighter evolved from the F Mk.XIVE and was conceived as a ‘Super Spitfire’. Unfortunately, it came too late for wartime use. There was no prototype built while the first serial aircraft flew in June 1945. 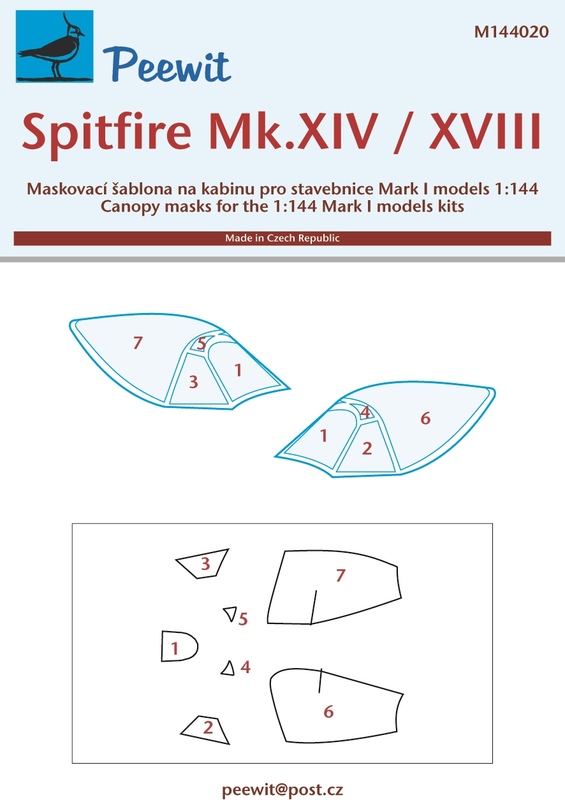 Production ended in early 1946 and totalled 200 Spitfire F Mk.XVIIIs and 100 FR Mk.XVIIIs, the latter being a fighter-reconnaissance variant with one oblique and two vertical cameras in the rear fuselage. It was a single-seat monoplane aircraft with cut-down rear fuselage and enlarged rudder. It was of all metal construction, powered by a two-stage supercharged RR Griffon engine. It carried extra fuel and had a revised, stronger wing structure. A full-span or clipped E-type wing was fitted mounting two 20mm cannons and two 0.5" (12.7mm) machine guns. Three 500lb bombs or various types of rocket projectiles could also be carried. Spitfire Mk.XVIIIs were mostly issued to the squadrons in the Middle East and Far East, where they were active against guerrillas during the HYPERLINK "https://en.wikipedia.org/wiki/Malayan_Emergency" o "Malayan Emergency" Malayan Emergency in the late 1940s. From late 1947 to mid-1949 India bought 100 ex-RAF aircraft.